Are You “Career Smart”? – CORE Consulting Inc.
A recent coaching client described his devastation when his boss advised him that “his services were no longer required”. To all appearances, he was on a trajectory to success. He had an engineering degree coupled with an MBA and five years of progressively more senior roles in a fast growing industry. 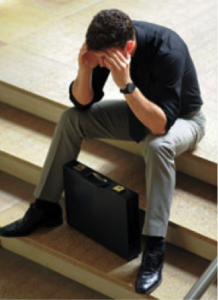 As “Michael” listened to the HR rep describe his severance package, he felt numb. He wondered how things could have gone so awry. After all, his recent 360° report validated his leadership capability. As Michael drove away with five years of his life in a banker’s box, it hit him: “I kept my head down for five years and didn’t even think about my career. I thought it would just take care of itself.” In that moment Michael learned the importance of being “Career Smart”. Can you clearly articulate your transferable strengths and skills? Is there congruency between what you value most and how you actually spend your time? Do you know what engages you and what demotivates you at work? Do you have a career plan that is a roadmap for success? Do you know how the shifting work place will impact you over the next five years? Are you agile in adapting to organizational change? Do you have a learning plan that supports your longer term career plan? Being Career Smart encompasses becoming highly self-aware, getting constructive feedback, adopting a curious mind-set, setting goals and being results-oriented. It also involves finding a fit between available opportunities and your skills, motivators, values. If you responded “yes” to all seven questions, congratulations! You are Career Smart. Keep up the good work! Six or less is an opportunity. Don’t wait for others to open doors. Look at your “no” responses, develop an action plan to address each one and create a solid platform for your career and personal success!